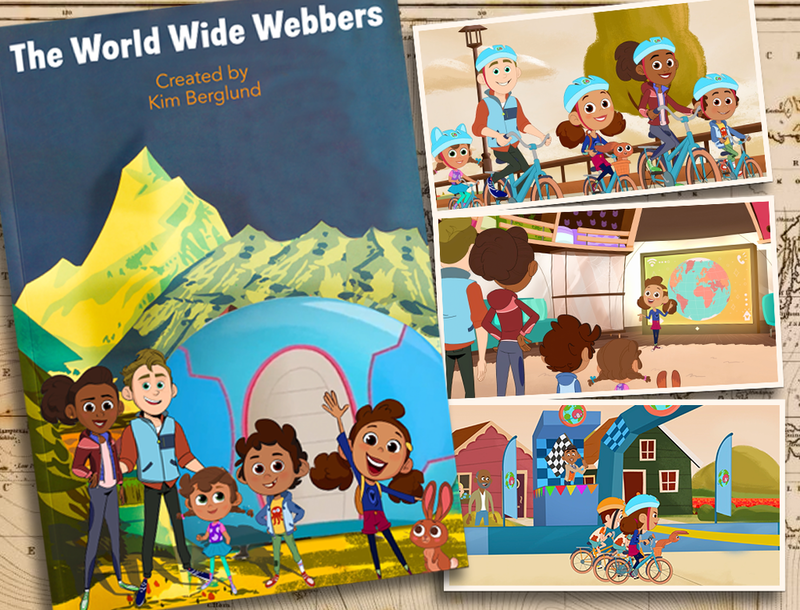 Concept: Join the Webber family as they cross the globe to compete in an international scavenger hunt! Competing families must use cultural and geographical clues to solve puzzles, determine their global location, and most importantly win each objective to reach the finish line first. Don't be fooled, this is no easy task as they find themselves mixed up in plenty of comedic and challenging tasks along the way! Laughs and adventure are just around the corner as three grade-schoolers lead us around the globe!" 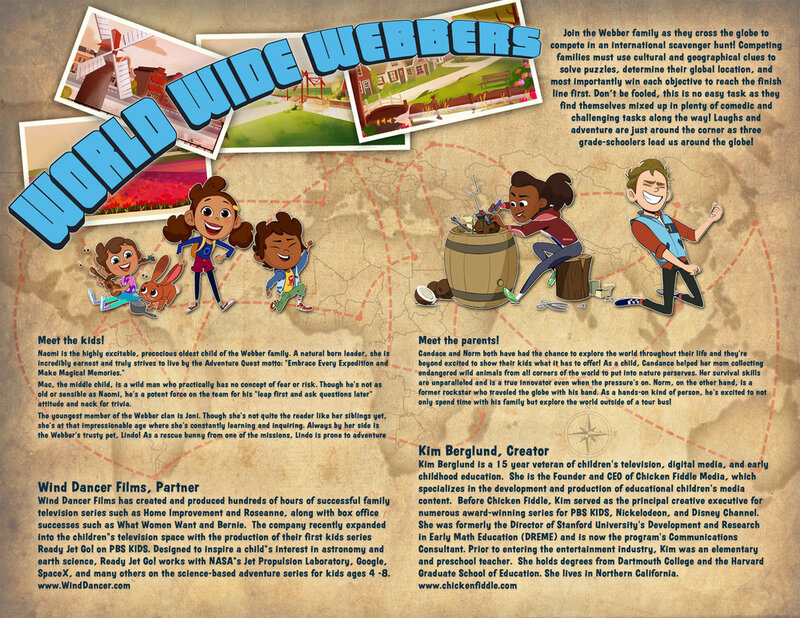 An animated series to inspire interest in world geography in kids 4-8.